Brett Williams Keynote Speaker – TheCyberSpeaker – Brett Williams is the keynote speaker and training facilitator who can help your leadership team work together so your company grows and profits in the age of cyberspace. Cyber-attacks hurt business, impact our personal lives and increasingly threaten the safety and security of our nation. Brett Williams is the keynote speaker who defines the role leadership plays in countering cyber attacks and he is the speaker who can help your company defeat the hackers. America is under attack. Russia, China, North Korea and Iran plus a wide variety of sophisticated criminal hackers are all attacking us in cyberspace. 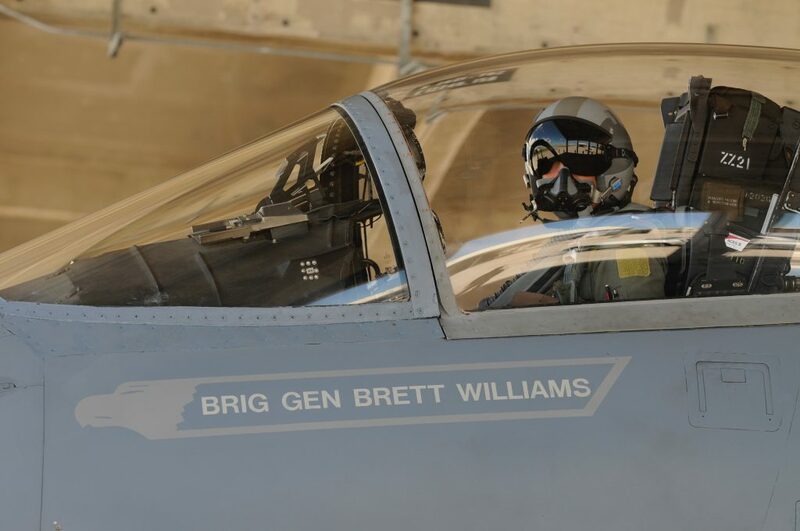 Maj Gen Brett T. Williams, USAF, (Retired) is President of Operations, Training and Security at IronNet Cybersecurity Inc. Brett is a leader in developing operational cyberspace concepts, personnel training and exercise scenarios. His unique mix of technical expertise and executive leadership skills make him a thought leader in managing cyber-risk. Boards, CEOs, CIOs, CISOs, small business owners and leaders at every level will benefit from Brett’s keynotes and training sessions. Each presentation is customized for your company and your target audience. Brett is an experienced executive trainer who can help your senior leaders understand today’s cyber threats and the keys to managing cyber-risk in your company. As business owners and as private citizens, we all rely on the U.S. Government to defend our interests against nation-state actors, terrorists and other advanced threat groups operating in cyberspace. The challenge is we do not understand what the government can or should do and it is hard to understand how we are to separate the hype from the things we should really be concerned about. Are You Navigating The CyberSecurity Highway The Right Way? Brett’s Innovative Keynotes can help you address the cybersecurity issues that plague modern corporations. If we throw enough money at the problem we buy the right kind of security for our company, Right? Upgrading Technology to the latest and greatest. How do we calculate Return on Investment when it comes to security tech for our company? Executives and Technical professionals talk in a different language. Period. Does anyone have the dictionary? What Brett's Clients Are Saying. I had the pleasure of working with Brett Williams on a virtual cybersecurity event recently. From our first pre-event meeting to the post-event follow up, Brett impressed me with his attention to detail, expertise on the subject of cybersecurity, and his ability to quickly understand our event goals and align to support them. Our event was a tremendous success and we're already talking about our next engagement with him. Thank You, Brett! The feedback on the conference has been excellent. Having Brett as the keynote speaker really solidified the program and brought it to a higher level. This role is especially difficult, but the ease with which he worked the stage and the audience was remarkable. General Brett T. Williams exceeded our expectations as the keynote speaker of AccessIT Group’s 12th Annual Cyber Security Symposium. Not only was his address very engaging and full of rich information, but General Williams was also very personable and easily related to the senior managers and CISOs that attended the event. Our team really enjoyed the ease of working with him and would hire him to speak again at other events. I run a national trade association in Washington, D.C. We recently had MG Williams come speak to our Board of Directors at our annual Fall Membership Meeting about cybersecurity and cybercrime. His presentation was lauded by my membership for his ability to communicate the depth of the problems faced by modern businesses operating in the online environment, and the types of action that must be considered by anyone in business today whose operations may be jeopardized by cybercrime. I highly recommend him to others similarly situated.